Here are some fantastic resources, all Free!, both for listeners and music students. For Listeners: to know better about music. 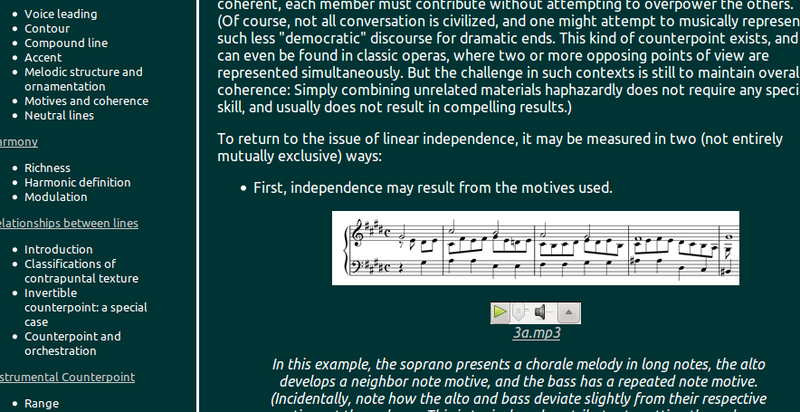 Sound Reasoning is a web-based, introductory music appreciation course. It offers a new approach to music appreciation for adults, focusing on style-independent concepts. Short-and-sweet descriptions and lots of musical examples ranging from Gregorian chants to contemporary music. A typical page in the course looks like this. San Francisco Conservatory of Music This site has excellent supplementary materials for Harmony and Analysis. The school suggests Aldwell-Schachter’s book on harmony. 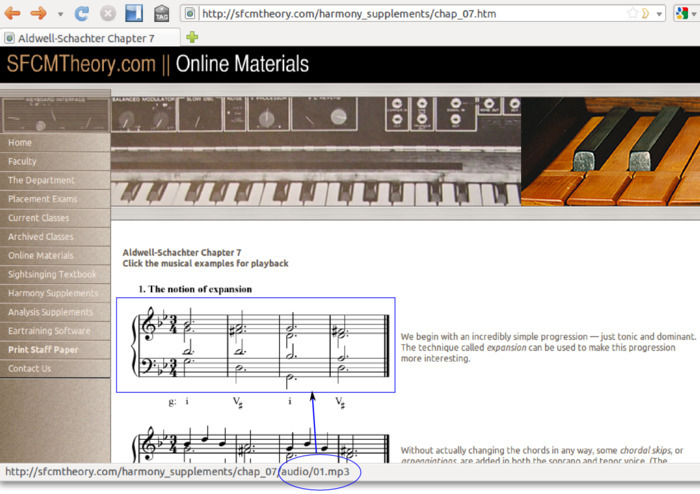 This site has examples - scores & and associated audio recordings, for the theoretical matters discussed in each chapter of the book, with some descriptions. The examples make sense even without the prescribed book. 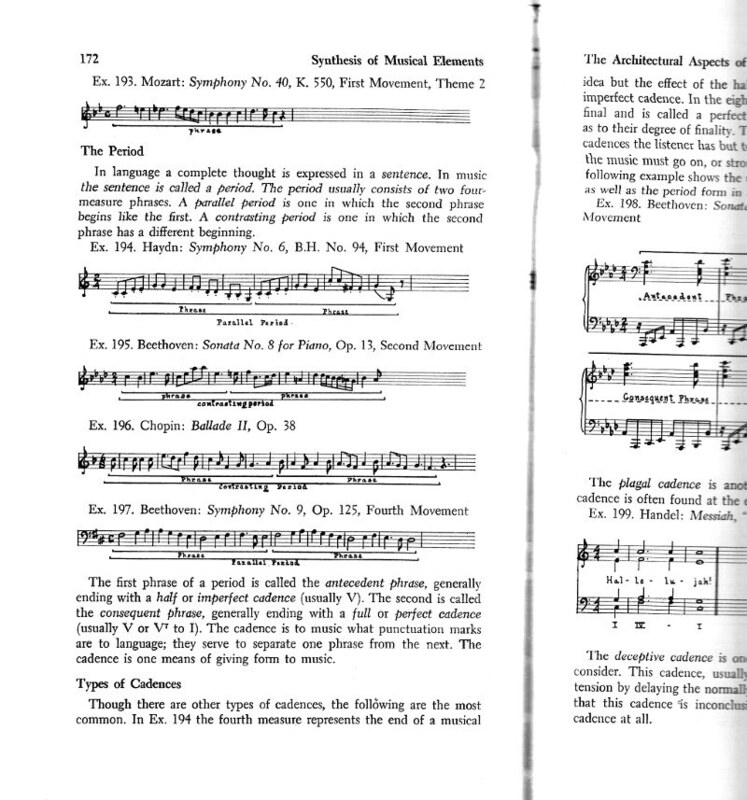 Alan Belkin has written some very rich articles on Form, Harmony, Orchestration and Counterpoint. It’s very nice of him to share them all with us. These articles are online since early/mid 2000s. He says these articles are not meant to replace textbooks. True, but I’d suggest any student to go through the corresponding paper here before starting to read a book on harmony or orchestration. IMSLP Music Theory Books - Public Domain music theory books including texts on Harmony written by Schoenberg, Schenker, Tchaikovsky, Rameau; and on Orchestration by Berlioz, Forsyth, Rimsky, etc.